Pantone® Flyers allow you to get your brand and your message out effectively. 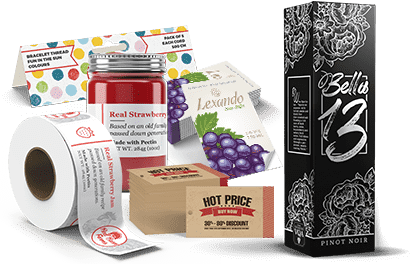 Opaque bond is a suitable selection for a variety of printing projects. Durable and smooth, 20 lb bond a common medium for flyers and brochures. 60lb Gloss stock offers a bright, glossy finish and opacity for multi-colour promotional pieces such as flyers, brochures, and posters. This stock is an economical choice for high volume log run projects, such as indoor advertisement posters or mailings. It is best suited for light designs to counter see-through that will occur with very dark images and text. 60lb Silk stock offers a smooth, silky finish and opacity which is ideal for brochures, posters, or flyers. This silk finish paper is available for brochures, posters, and the inside pages of catalogs. The silk finish is ideal for large blocks of text as there is no glare. This is also a lower cost option for long runs. This stock is finely coated with a non-gloss finish. It provides an excellent opaque base for easy to read, crisp typography. 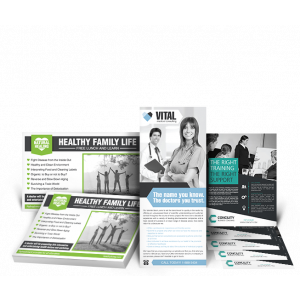 Standard Uses include Brochures, Newsletters, Catalog Inserts, and Flyers, etc. Heavier than 80lb text for a more substantial feeling piece, this stock provides a non-glossy, opaque base for detailed, crisp printing. this is ideal for high-end brochures, catalogs, and posters. Also known as book or offset paper, this thinner, lightweight stock is often used for publication interiors, sell sheets and letterheads. The finish is ideal for items that need to be written on, and can be used for mailing campaigns where a heavier stock is desired. This stock is also Forest Stewardship Council ® (FSC) certified denoting the paper is produced via responsible forestry, so is excellent for those who are environmentally conscious. The posters will be packaged flat in boxes. Pantone® Flyers are perfect for marketing campaigns that reinforce a company's identity. Typically 2/2 (Pantone®+Black ink on both sides), these flyers can still be graphically eye-catching and persuasive. Available paper options are similar to our 4 colour flyers, including text weigh in various finishes. Please note, 1 & 2 colour printing does not allow for a bleed area. For flyers with Full Colour printing, please check out our Full Colour Flyers. Flyers are commonly ordered as 5.5" x 8.5" sheets on 70lb Uncoated White Smooth Text weight paper. They are mostly printed in 2 colours, including a Pantone colour, on both sides (2/2). 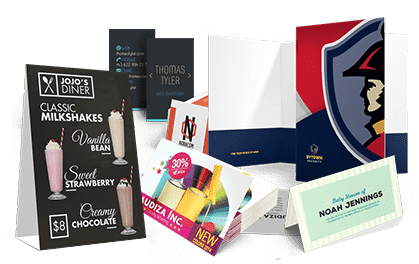 For additional stock choices or for orders with a quantity of 250 or more and require 4 colour printing, please check out our Full Colour Flyers. 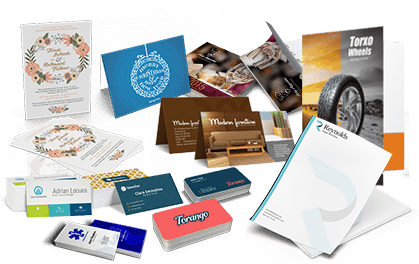 Flyers are the method of choice for companies to share information. Use them to offer customers deals and advertise new products or services. Hand them out at industry events or display them in relevant public areas. Adding a QR code linked to a website can also be a great way to provide customers more detail without having to cram everything into one spot and gives you a way to updated information as often as you would like without having to reprint flyers.